A Croatian newspaper on Tuesday claimed it had proof that a company belonging to Ana Saric Karamarko - wife of vice prime minister and head of the Croatian Democratic Union, HDZ, Tomislav Karamarko - had received over 60,000 euros to counsel a lobbyist for the Hungarian energy firm MOL. According to contracts in Nacional’s possession, Josip Petrovic, the lobbyist for MOL - which currently in an international arbitration process with Croatia over the Croatian energy company INA - paid over the cash between February 2013 and December 2015 for counselling and media analysis. Petrovic, whose friendship with Karamarko was revealed in April, was on INA’s management and was a witness in the international arbitration process in London over management rights to INA. INA is a partly state-owned company in which the Croatian state owns 44.8 per cent of the shares and MOL holds 49 per cent. Although MOL does not have a majority of shares, it holds a majority of seats on both boards. MOL bought its last shares in INA when Ivo Sanader was Prime Minister of Croatia. The Supreme Court of Croatia in June 2014 found Sanader guilty of receiving bribes of ten million euros in bribes to push the sale of the management rights of INA to MOL. However, Croatia's Constitutional Court squashed the verdict in July 2015, ordering a retrial of the case from the beginning. Before the Supreme Court verdict, the Croatian government launched a suit against MOL over management rights before the international arbitration court in January 2014. According to Nacional’s documents, Petrovic paid monthly sums from his company, Peritus savjetovanje, to the account of Saric Karamarko’s company, Drimia. Saric Karamarko and Drimia were earlier under a media spotlight in May 2015, when it was revealed that her husband, Tomislav, was driving the Drimia company vehicle. The news website Telegram also published documents on Tuesday that allegedly showed that Petrovic received around 970,000 euros for consultancy services from MOL between January 2011 and August 2015. Saric Karamarko told daily newspaper Jutarnji list on Tuesday that her company was providing regular marketing and communications services for Petrovic's company. "The moment when it became certain that my husband could become a member of the government, I informed Mr. Petrovic that we're terminating the contract," she said. Vice Prime Minister Karamarko rejected any claims of a conflict of interest on Tuesday and said the media and the authorities had been probing his wife's company for years. “The operations of my wife’s company have several times in recent years, solely in order to put political pressure on me personally, been a target of investigations by various state organs,” he wrote in a press release. He added that, “When it comes to allegations of a possible conflict of interest for me personally... I’ll personally send today an official request to the Commission [in parliament on conflicts of interest]… asking them to thoroughly investigate this case and to inform the public,” he concluded. Karamarko assumed the office of vice prime minister and first deputy prime minister in late January. His HDZ party's junior partner in government, the Bridge of the Independent Lists, MOST, has strongly criticised the private relationship between Petrovic and Karamarko. MOST’s president, vice Prime Minister Bozo Petrov, expressed shock in April that Karamarko had personal ties to a MOL consultant. In April, MOST MP Miro Bulj called on parliament's Commission for Conflict of Interest to investigate whether either Petrovic’s firm, or MOL, had conducted any businesses with companies owned by Croatian politicians or by their family members. “I invite it... to initiate procedures and determine whether companies owned by Croatian politicians or members of their immediate families do business with companies of the MOL consultant Mr Petrovic, or MOL, or companies owned MOL,” he said. New regulations were supposed to be implemented by 20 May, but Croatia is certain to miss the deadline. The government is already late if it wanted to adopt new tobacco regulations in Parliament according to a regular legislative procedure. At issue are amendments to the Law on the Use of Tobacco Products which are needed for Croatia to fulfil obligations under an EU directive. The regulations are supposed to force manufacturers of tobacco products to use packaging with precisely defined textual and pictorial warnings about harmful effects of tobacco products. “Even if they were to adopt the amendments at the next session of the government, the law cannot be adopted in Parliament and go into effect prior to 20 May. And that means we will pay the penalties. It is impossible to say what the penalty might be, but in general such violations of deadlines are fined with between two and three million euros”, said former Health Minister Siniša Varga. He added that the European Commission usually tolerated some delays, but that in this case that would not happen since this deadline was linked with another deadline of 20 May next year, when the old packaging must be completely withdrawn. “If the government at the next session were to adopt amendments to the law and send them to Parliament, I would give my best for the amendments to be immediately adopted. I can guarantee that the opposition will make sure there is a quorum for voting. Of course, provided that the law is fully compliant with the European Union”, said Varga. However, if the law were to be adopted by Parliament, it would still be impossible to meet the deadline of 20 May, since that is when manufacturers of tobacco products should start producing cigarettes in new packaging. That requires adaptation and investments in new technology which entails new costs, so some suspect that the government actually missed the deadline under pressure from the tobacco industry. The packaging will have to include health warnings about the dangers of smoking, and this textual and pictorial warnings will have to cover at least 65 percent of the packaging. Two months ago, Philip Morris Zagreb pointed out that the measures imposed by the EU would have a big impact on their business and would further tighten an already strict legislative framework regulating tobacco products. They also said that Croatia was on the external border of the EU and that the effects of changes would have to be monitored beyond the EU borders as well. Croatia's opposition on Wednesday filed a no-confidence motion against Deputy Prime Minister Tomislav Karamarko and a state body said it would investigate an alleged conflict of interest posed by a business deal between his wife and lobbyist friend. A newspaper alleged last week that the lobbyist hired the public relations company run by Ana Karamarko for a 60,000 euro project over two years ending 2015. In addition, the lobbyist works for Hungary's MOL, the biggest shareholder in Croatia's energy company INA. 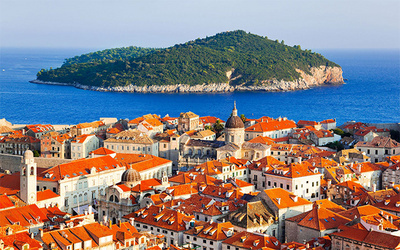 The Croatian government is INA's second-largest shareholder, and the two sides are at odds over management rights and INA's investment policy, and are fighting each other in two international arbitration cases. The ruling coalition has been arguing over how to proceed with the disputes, with Karamarko in favour of abandoning arbitration for fear of financial losses for Croatia. Karamarko, who leads the conservative HDZ party, the biggest party in the coalition, has repeatedly denied that his wife's business dealings with a long-time friend and a MOL contractor, presented any conflict of interest. Wednesday's motion was filed by the main opposition party, the Social Democrat (SDP). The vote must take place within a month. Relations within the ruling coalition have been strained by disputes over political appointments and reform plans. "I expect that the deputies will see this as an unacceptable relationship and people entering such arrangements should know it is unacceptable," SDP leader and former Prime Minister Zoran Milanovic told reporters. The State Commission for the Resolution of Conflicts of Interest, a body appointed by parliament, announced it would start an investigation into the accusations against Karamarko. The commission can impose fines on officials found to have conflicts of interest. Karamarko told reporters that he had always kept private and public matters separate. "I do not have any conflict of interest and I expect it to be proven," he said before a government session on Wednesday. Political analyst Davor Gjenero who is based in Zagreb said he expected the opposition to struggle to muster sufficient votes to force Karamarko's resignation. But "surprises are always possible," he said.